Car Body Forks offer double taper tine design, to prevent wedging in automobiles (standard feature on all “flat” style tines). Boxed lower plate allows for light dozing tasks. Low profile backframe with a five-degree slant to maximize visibility and minimize auto damage. Close center of gravity to maximize the full lift capacity of the machine. 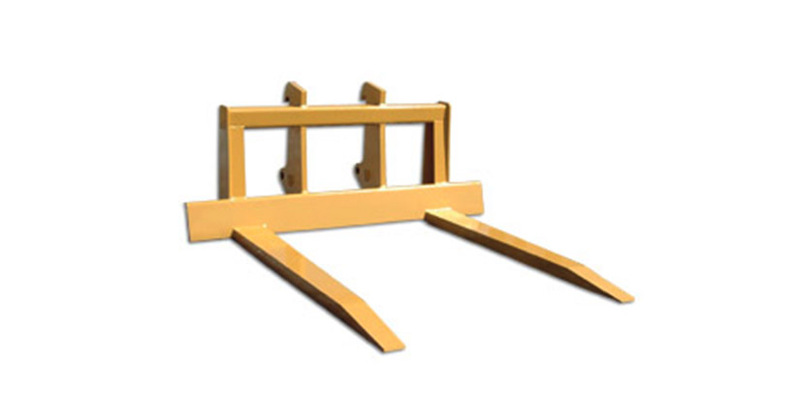 Forks are designed to fit pin-on or coupler configurations. Tine Size 2" x 8" x 72"